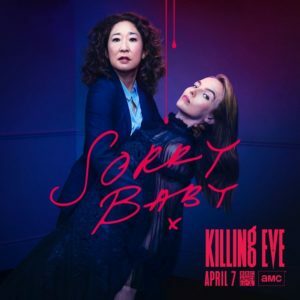 Killing Eve revolves around the suspenseful and unpredictable chase between MI6 operative, Eve Polastri (Sandra Oh) and psychopathic assassin Villanelle (Jodie Comer) and their growing fascination with one another. Phoebe Waller-Bridge was head writer and showrunner for the first season before opting to focus on her critically-acclaimed show, Fleabag, and leaving season two duties to Emerald Fennell (Call the Midwife). Based on the Codename Villanelle novellas by Luke Jennings, the third season will be executive produced by Sally Woodward Gentle, Lee Morris, Phoebe Waller-Bridge, Gina Mingacci, Damon Thomas and Sandra Oh, Variety reports. Jeff Mevloin (Designated Survivor, Alias) also joins the team as executive producer. The show also just earned 15 BAFTA TV Award nominations, including Leading Actress nominations for Jodie Comer and Sandra Oh, Supporting Actress nomination for Fiona Shaw and Supporting Actor nomination for Kim Bodnia. Killing Eve season two airs every Sunday on BBC America.